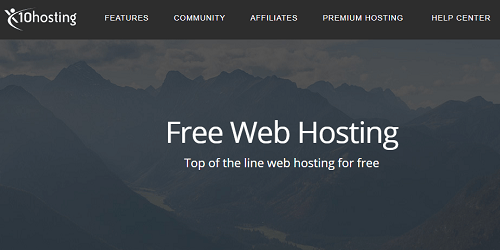 Have you ever used free web hosting service to host your websites and projects? I mean, when it comes to buying a web hosting service, there are many options on the Internet, but what about free options. Is free web hosting sites providing you server resources similar to paid resources, or is there any hidden truth we do not know. 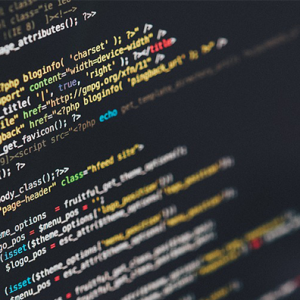 As you know, web hosting is not just a software application that can easily be distributed for free with open source license, many things work behind web hosting services that consume more and more money. So if you think any free hosting site offers you big server resources at no cost, then you will think wrong. A full-featured free web hosting service will only provide you limited server resources without any support. 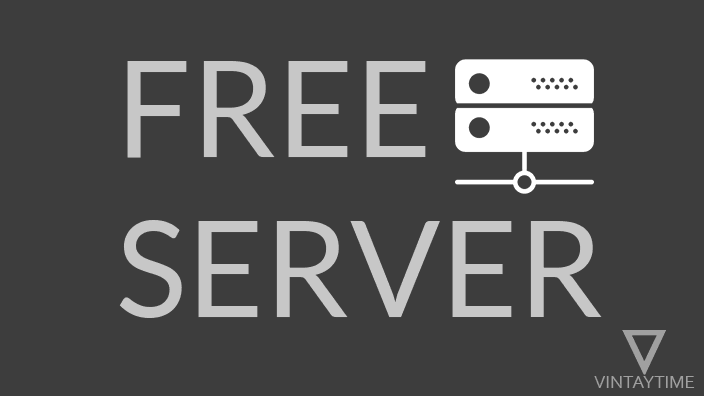 Free servers can go down anytime, so do not ever use free service for your permanent website. I use these free services for the purpose of learning and testing. In an application-specific web hosting service, you can host only static websites. 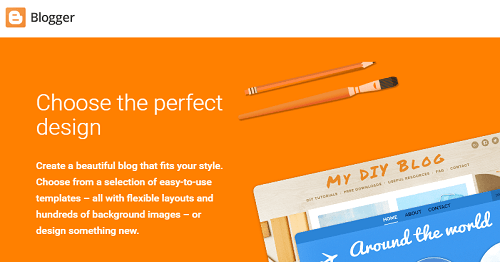 Blogger.com is a blogging platform (by Google) that is widely used to make blog sites free of charge. A blog website is like a regular website, which you can use for any purpose, including portfolio and business. You can create and host your static website on Blogger.com and make it live for public use, there is no bandwidth limit on the platform. You can also map a custom domain to your Blogger.com’s site for free. WordPress.com is the leading blogging platform on the Internet, even the open-source WordPress software is used on over 28% of all websites on the Internet. 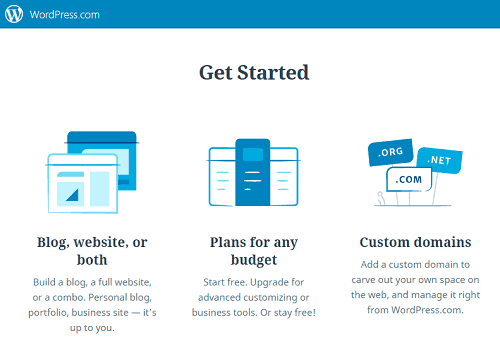 You can create and host your site on WordPress.com and every free user will get 3 GB space, unlimited bandwidth and unlimited file attachment size with free plan. Google Sites is a static webpage creation tool that you can use to create and host your website projects for free. With just a drag and drop you can create a project site, and upload more with 100 MB of free space. Google sites have a maximum of 1 GB daily bandwidth and 20 MB file attachment size limit. Wix is currently one of the best website builders on the web to create a stunning website without any coding. Wix.com provide 500 MB storage, 500 MB bandwidth / month and 50 MB file attachment size limit to all free users. Creating and hosting your site on Wix as a free user will need to display a Wix logo on your site. Webs.com is a freemium website building platform that provides a simple drag and drop builder, pre-written website templates, 50 MB of storage, and 500 MB bandwidth to free users. A custom domain can be added to your site, even you can register a new domain name through your Webs dashboard. Weebly provide 500 MB of storage, 10 MB file size limit and unlimited bandwidth to the free sites hosted on their platform. With Weebly you can launch a beautiful website in a few minutes using the drag and drop website builder and pre-designed web templates. cPanel, file browser, server side access and everything we get in the paid web hosting service are include in the below free services. 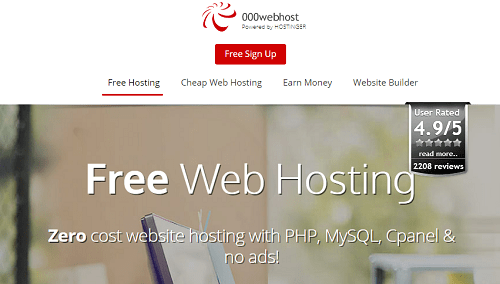 000WebHost is a popular free web hosting service that is used by millions of people around the world. This service provides you a good amount of server resources with all web hosting features, such as 1 GB space, 10 GB bandwidth per month, control panel, PHP and MySQL support, email account and FTP access. The best thing about 000WebHost is that it will not show advertising banners. x10hosting is a cloud hosting service that provides high-performance cloud servers for free. 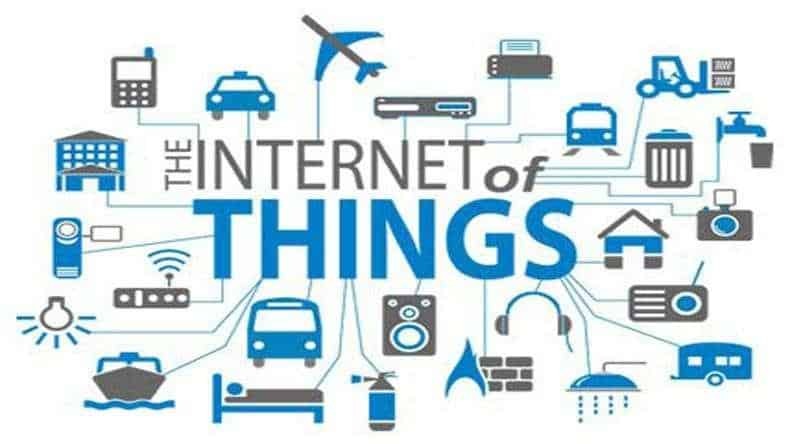 The free package includes unlimited bandwidth and disk space which is surprisingly high from any free hosting service. cPanel, PHP and MySQL support, FTP, e-mail and all other regular web hosting features are included in the free package. Another ad-free web hosting service called Byethost offers 1 GB storage space, control panel, PHP and MySQL, SSL certificate, and all other web hosting features at no cost. The company offers free hosting reseller service, allowing you to provide your own free hosting service backed by byethost. Like its name, 5GBFree.com gives you 5 GB of free space in the free hosting plan, along with 20 GB bandwidth per month, FTP access, MYSQL / PHP support, and cPanel are also included in the free plan. The service is ad-free, it does not show ads on your content. Sign up for FreeHostia.com and get full featured cloud web hosting for free. 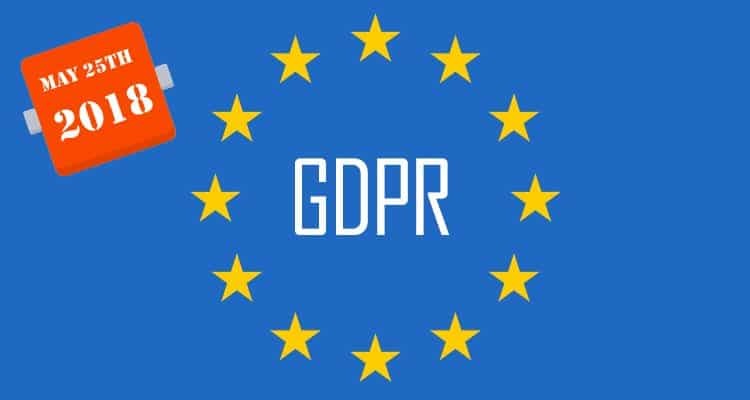 The free plan includes 250 MB of disk space, 6 GB monthly traffic limit, MySQL and PHP support, and 5 domains are allowed to host on your free account. 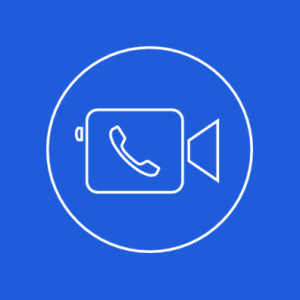 Customer support is also included in the free plan. Yola is one of the best free website builders on the Web, and it is also a strong competitor of Wix and Weebly. 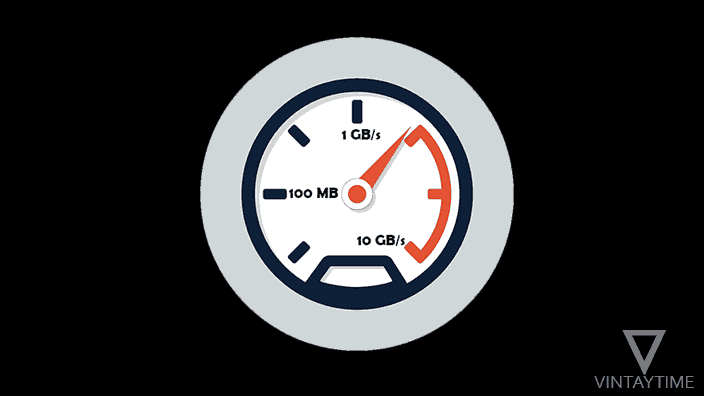 It does not provide much server resource for free, but 1 GB bandwidth and 1 GB storage is quite fine if you want to test website projects on a live server.